Juan is from Chile and has represented his country all around the world playing polo in Argentina, England, France, Peru, Ecuador, China, and New Zealand. 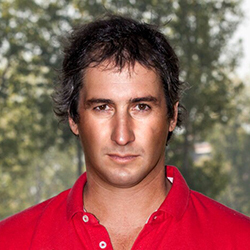 He was the Captain of the Chilean polo team at the Polo World Cup in Argentina in 2015. Juan has been coming to Virginia to play polo since 2007. He has previously played on the Goose Creek, Jaleo, and Centauros teams. He was on the Beverly Equestrian winning team at three previous NSLM Polo Classics. In Chile, his family owns a large thoroughbred breeding operation.